Southern In Law: DIY: Turning a Photo Frame into a Custom Chalkboard! 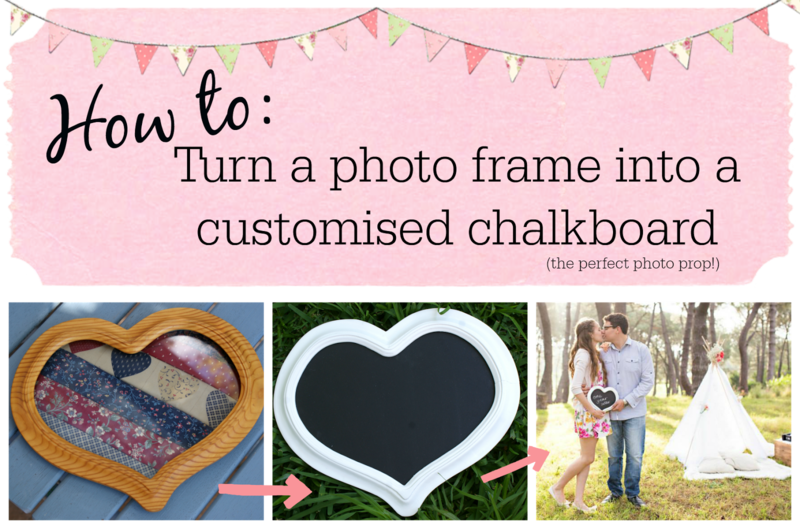 DIY: Turning a Photo Frame into a Custom Chalkboard! 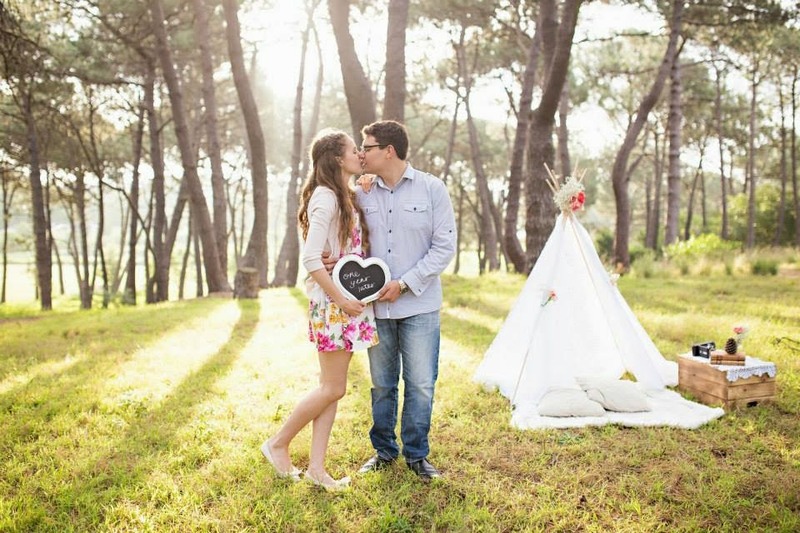 But today, I wanted to share a little sneak peek of our Wedding Anniversary Photoshoot! Once again, the increeeeeeeeeeeeedible Lucie Zeka took some photos for us and we are already in love with what we've seen! (You can see the sneak peek pics on her Facebook Page). You see, Jesse and I decided that each year on our anniversary we'd have a photoshoot so that we can capture new memories and compare our photos with previous years. We thought this was a wayyy better idea than presents - and it's the perfect way to see how we change and how our family grows over the year! At first I thought about using wooden numbers (1, 2, 3 for the years we'd been married) - but then I'd realised I'd be buying an awful lot of numbers - and what I really wanted was a piece (or pieces) that we could use again and again in different photos over the years - for our kids, for special occasions - etc etc. So I got to looking - and I found a gorgeous vintage heart photo frame on etsy which I promptly bought and had shipped over and I decided that I wanted to make it into a photo frame. Since the process was super simple and the end results turned out awesome - I thought I'd share the process with you so that you can make your own! We chose a wooden heart shaped vintage frame which we found on etsy - but you can use any frame that you like! We bought ours from Typo for $10 - but you can also find it at any hardware/craft store. A Handsaw/Jigsaw Cutter for cutting out your wood piecesIf you do a simple shape like a square/rectangle you should be able to get your local hardware store to cut it to size for you! Spray Paint or Paint to paint your frameWe chose spray paint as we didn't want to loose the beveled edges on our frame (and because it's way easier and you don't have to worry about brushstroke lines). We highly recommend Rustoleum Spray paint (it's usually about $10 a can at Bunnings) for the best finish. Optional: Surface Prep I used ESP as our frame was covered in lacquer and we already had it in the shed from previous projects. The first thing you'll want to do is take apart your photo frame. We'll be replacing the glass from the frame with a wood piece (as it's a million times safer and more durable). First you'll want to trace the glass piece onto your MDF ready to cut out. If you want to have a flat back piece, trace the front of your frame onto the MDF ready to cut out. After you've traced your pieces onto your MDF, it's time to cut! We used an electric jigsaw to cut out our pieces - but you can also use a handsaw. If you're using a basic square or rectangle, you should be able to get your local hardware store to cut your MDF/wood to size when you buy it! Once your pieces are cut out, you'll want to sand them down to make sure the edges are smooth. It's also important that you sand down to your traced line to ensure your pieces fit back in your frame! Don't worry, if sanding sounds daunting - MDF is the perfect place to start as it's literally smooth in seconds. After sanding, check to make sure your pieces are the right side. At first our pieces were a little too big, so I simply sanded down the parts that were too big until they fitted perfectly in the frame. Once everything fits, mark the back side of your wood pieces so that you know which side to paint! Once your pieces are ready, it's time to paint! You'll only need to paint the glass cut out with your chalkboard paint as it's the piece you'll be seeing. We only needed one coat of the chalkboard paint we used, however, if your paint is thinner you may need a second coat! Whilst your chalkboard piece is drying, it's time to paint your frame! Prior to spray painting our frames we wiped on some ESP (Easy Surface Prep), let it sit for 30 minutes and then dried it off to ensure that the paint sticked perfectly. This isn't mandatory - but if you're spraying a frame that's covered in a glaze or lacquer, I'd suggest doing this step as it's going to give you the best finish. You have the choice of either spray painting or hand painting your frame. We went the spray painting route as I'm a spray paint addict it's much easier - it dries much faster, you get a smoother finish and you don't have to worry about paint strokes or getting into tiny nooks and crannies. If you're going to spray your frame, I wouldn't recommend anything other than Rustoleum. In fact, I strayed from my usual Rustoleum at first as our local store didn't have any and I ended up having to re-sand and re-spray the frame with Rustoleum later as the first brand looked awful! When your chalkboard piece and frame piece are dry, it's time to assemble! First you'll want to glue your chalboard piece into the frame. Carefully apply glue onto the backside of the frame ready to pop your chalkboard piece on. You don't want to use too much as it will ooze out and you'll be able to see it from the front so be careful! Once you've applied the glue and popped your chalkboard piece in, leave it to dry overnight. If your chalkboard piece doesn't seem to be sitting flat, place a couple of books on top to hold it down whilst it dries. Once your glue has dried completely, close over your frame fastenings to secure the chalkboard piece - and then attach your back piece if using, leaving it to dry overnight. Before you know it, you'll have a gorgeous custom chalkboard ready to use! We used it in our anniversary photo shoot to say "One year later" - and we plan on using it again and again in the future - from month to month photos of our future kids to future anniversary photo shoots, birthday shoots etcetc! But in-between shoots, the chalkboard sits in our office so that we can write messages to one another. But tell me, what's the last craft/DIY project you worked on? I've just finished working on some custom Christmas ornaments and I have a whole lot of Christmas Craft/DIY projects in mind for the next couple of weeks!